Joe Maddon drove the baseball-themed Jeep all summer. There's a bat gear shifter, Rawlings seats and other one-of-a-kind features. 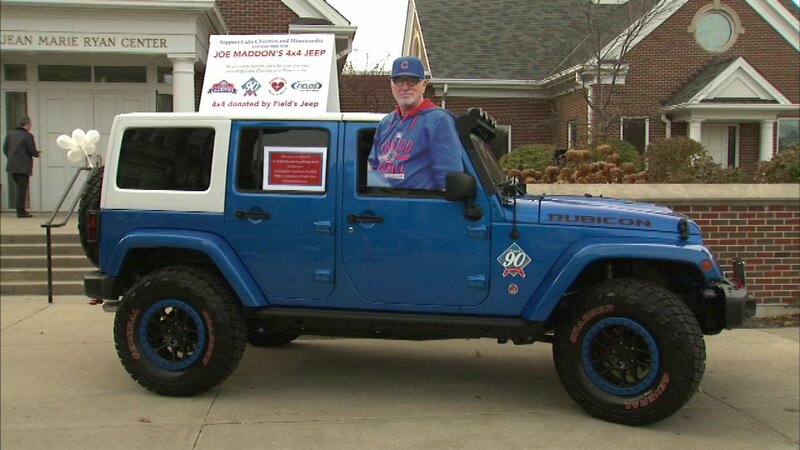 CHICAGO (WLS) -- Cubs manager Joe Maddon is helping raise money for Chicago area charities by raffling off his tricked-out Jeep Rubicon. Maddon drove the baseball-themed Jeep all summer. There's a bat gear shifter, Rawlings seats and other one-of-a-kind features. Maddon and his wife picked the Cubs Charities and Misericordia to receive the money. The raffle raised about $300,000. Fields Auto Group donated the Jeep.